It’s time for the May Ipsy Glam Bag opening! 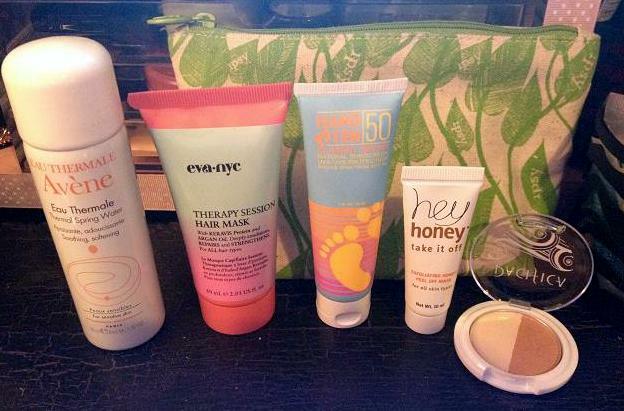 To read more about what Ipsy is, please see my first review here. You can subscribe to Ipsy here. Avene Eau Thermale Thermal Spring Water-this is a soothing and softening spray that is supposed to soothe allergic, sensitive skin. 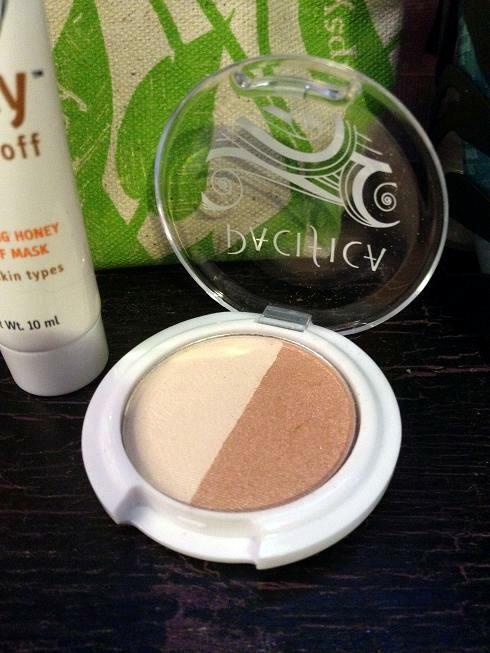 This is great for summer since I am sensitive to many things that my skin comes in contact with, mostly hay. I’m not sure that I would carry this with me to the barn, and by the time I think about using it, my reaction most likely will have subsided, but I’ll try to make a point to try it out. It can be used on the face as well, so it might just be a nice refresher to use on hot skin. I think I would get more use out of it that way. 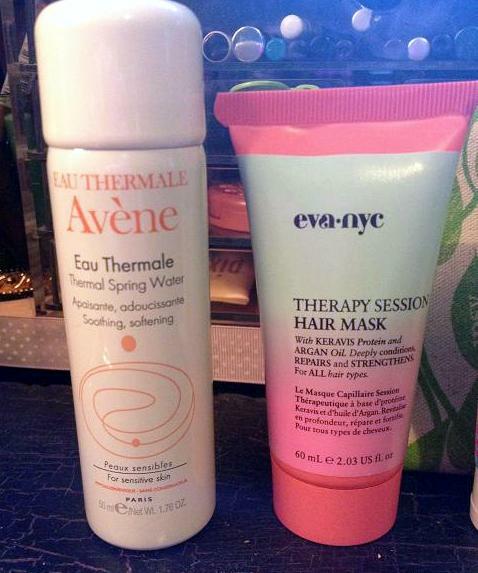 Eva-Nye Therapy Session Hair Mask-deeply conditions, repairs and strengthens. This can be used as an everyday conditioner or once a week as a treatment when left on for 3-5 minutes. I love a good hair mask and am always looking for new ones, as hair can benefit from different ingredients of different masks, so I never stick to just one kind. I haven’t tried it yet, but it has a soft, powdery, fresh scent in a good way, not a grandma’s perfume kind of way. 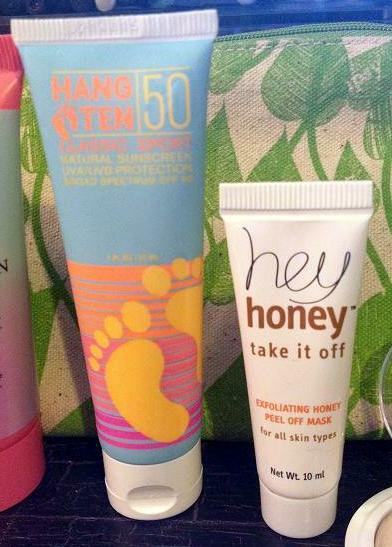 Hang Ten Classic Sport SPF 50 Natural Sunscreen-water resistant for 80 minutes, made with natural ingredients. It has a very slight beachy scent but it’s barely noticeable and dissipates quickly. It is fairly light for a sport style sunscreen and it doesn’t stay tacky at all like my other sport sunscreens do. I like this a lot and I took it to work to use when I run errands at lunch time. Hey Honey Take It Off exfoliating honey peel off mask: This is a clear gel that smells amazing. It smells like a honey based perfume but it’s not overpowering and isn’t offensive to put on my face. I was annoyed that the tube says you have to go to their website for directions, but the website says to apply a thin layer to face, wait 15-20 minutes, then peel off, starting at the edges. It is supposed to brighten, smooth and moisturize without being irritating to skin. A full size tube of this costs $35 which is mid-range for a good facial peel, so if it does all it claims, I might re-purchase this. Pacifica Natural Beauty Shadow Duo #1: I had seen some Pacifica shadows in a set around Christmas time and noted the beautiful colors but never got around to purchasing them. I was happy to see this in my bag. The colors are true to the picture, the first is a creamy color and the second is a rosy bronze. I like the colors very much, as I can never have too many neutral browns for my blue eyes. This is slightly on the dry side but it seems to wear just fine through the day once applied. Again, you can read more about what Ipsy is here and subscribe here. Can’t wait until next month!